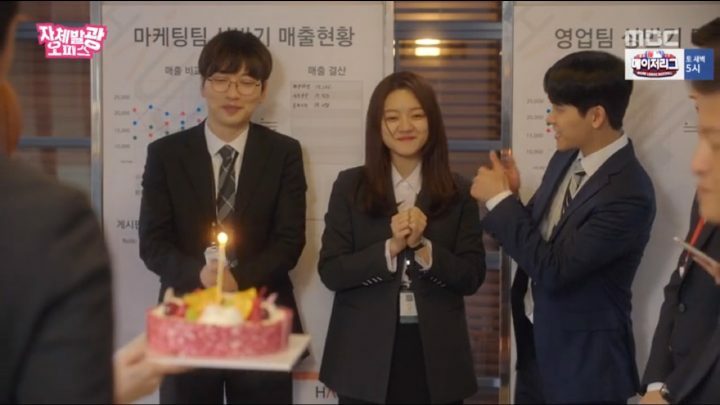 Radiant Office follows Eun Ho Won (Go Ah Sung), a 28-year-old who’s been struggling to get a steady job even years after she has graduated. One night, after a particularly bad interview, she decides to commit suicide out of being tired and sick of her current life. 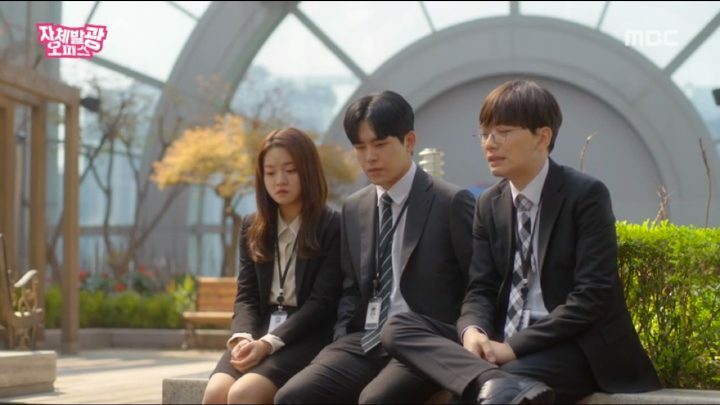 Upon being rescued, she meets two others at the hospital — Do Ki Taek (Lee Dong Hwi) and Jang Kang Ho (Hoya) — who are in a similarly stressful job-hunting situation. As if things can’t get worse for her, Ho Won overhears her doctor’s conversations and finds out that she’s potentially terminally ill. I was surprised that the drama revealed such dramatic information so early on, but it’s nonetheless the perfect catalyst for Ho Won to reclaim her life in her own hands out of desperateness and the fact that she now has nothing to lose. By a stroke of luck, the three hapless souls get hired at the same company, Hauline, and begin their three month contract as temporary workers. This leads us to meet the final main character, the manager of the marketing team, Seo Woo Jin (Ha Seok Jin). Woo Jin is a capable workaholic with no interest in anything but perfection, so he’s very cold and prickly to our three temporary workers, who he deems as useless due to their lack of experience and any particularly outstanding skills. 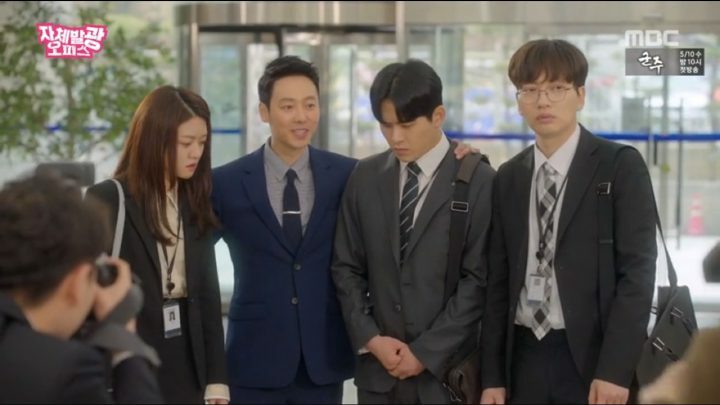 We also quickly learn that, Seo Hyun (Kim Dong Wook), the doctor at the hospital that treated Ho Won, is the son of Hauline’s owner and the person that got the three contractors hired. Of course, the contractors have no idea that he wrote a book about them or hired them out of pity. 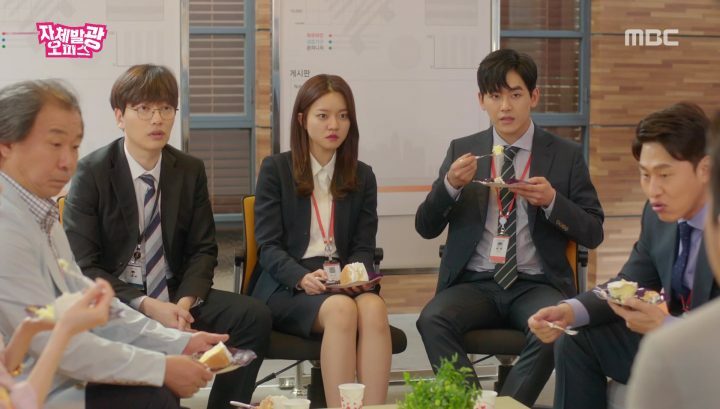 Thus far, this sets the stage for the drama, and when mixed in with office politics and budding romance, there’s never a dull moment in the drama. On the surface, Radiant Office seems like a simple slice of life workplace drama about a girl, her prickly boss, and some coworkers. In reality, it’s so much more. It’s about how this unique group of people came together to try to survive a world that has beat them down over and over again. Every character has his distinct personalities, brought to life through superb acting and character writing that creates dynamic synergies and relatable stories. Every character has his distinct personalities, brought to life through superb acting. Take Ho Won for example. She is so real, raw, and chock full of sincerity that she easily became one of the most genuine and likable characters in the drama. Her characteristics and experiences are something that many people can see in themselves: trying hard to interview, but always failing, getting by with part time jobs to make ends meet, and having to compete with those who are more qualified all around her. Further, when she begins to work at Hauline, she isn’t a perfect fit; she makes mistakes and causes problems at work. Still, that doesn’t bring her down and she keeps her head high continue to fight through life. Of course we spend a lot of time with the contract workers that it’s hard not to root for them. I especially got invested in their personal stories as we learned more about their individual circumstances and watch them grow and mature in their own ways. I also really liked their team spirits. Even though there is a chance that one of them could get hired on as full time employee, they didn’t compete with each other through underhanded means, but were very supportive and encouraging of each other. 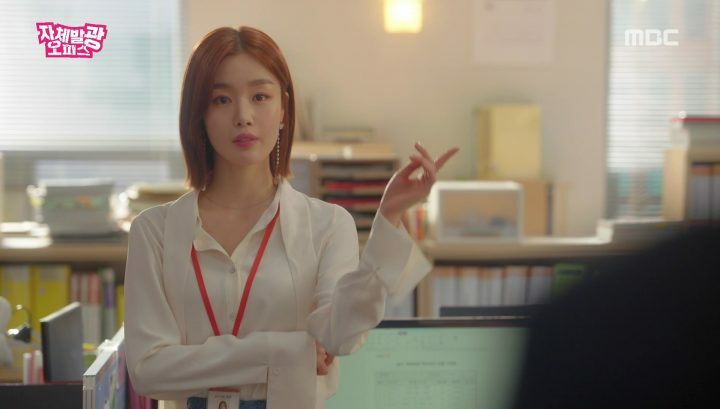 Yet beyond these main characters, even supporting characters who played antagonists or annoying troublemakers had their own distinct personalities and time to shine throughout the drama. 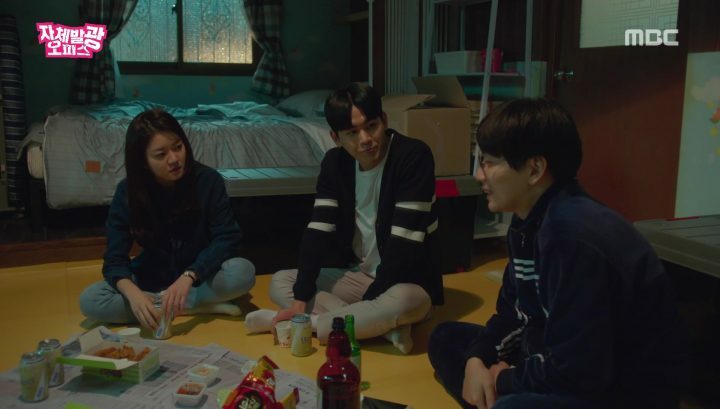 On the romance front, the relationship between Woo Jin and Ho Won was quite a slow burn but rightfully so as it’s not the central theme of the drama, but supplemental context that allow characters to evolve over time. And so, Ho Won and Woo Jin grew more mature over time with the pressure and aid from each other like when Woo Jin constantly pushes Ho Won to be her absolute best. Even though I found Woo Jin to be quite abrasive in the beginning, he slowly became a more likable boss and person that ultimately helped Ho Won embrace her full potential. Although Radiant Office was indeed brilliant in many aspects, I did find imperfections at times. Firstly, the whole thread around the terminal illness was not handled in the most natural way and it felt like a bit of a copout largely for the sake of happy endings. Secondly, Seo Hyun’s character motivations were rather hazy, making for a weak link in the drama. He wanted to prove to his father he was a worthy successor of Hautline, but why he went through the troubles he did wasn’t made very clear and just came off like tools to propel the drama’s plot line at convenient times. All in all, Radiant Office is a consistent, touching, and humorous piece that delivers valuable life lessons of never giving up, and that everyone has something special to offer. With a slew of lovable characters who are all unique in their own way, you can’t help but follow their inspiring journey to finding happiness in life.